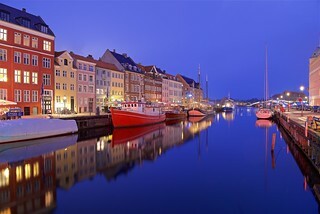 COPENHAGEN – Wealthy taxpayers are much more likely to avoid significant portions of their tax obligations, with the wealthiest people in Scandanvian countries skipping out on nearly a third of the taxes they owe. Late last month researches from Norway and Denmark published an academic article showing that the propensity to evade personal tax obligations rises steeply with wealth. The researchers used data made available in the Panama Papers and cross-referenced them with information made publically available by local tax authorities about individual taxpayers, in order to estimate how much tax was evaded by wealthy individuals. It was found that in Norway, Sweden, and Denmark the richest 0.01 percent of households, or those with assets totalling more than GBP 31 million, evaded an estimated 30 percent of the taxes that they owe. The researchers were not able to complete the same analysis on taxpayers in other countries, however, they claim that it may be safely assumed that similar levels of avoidance would be seen in other comparable countries.